The voices have grown from a whisper to a roar; thank you parents, teachers and students for exercising your rights. In addition to mass opt outs throughout the state; the Colorado Capitol has been flooded with citizen advocates providing testimony and building critical relationships with legislators. The list of children’s champions is growing. Please join us for a press conference this Thursday, April 9th at 12:30 pm, West foyer inside Colorado Capitol, to recognize the legislators that are working with parents and teachers on behalf of students. Your presence is appreciated. In response to the growing actions of parents and students, business interests, who profit off of testing reforms, are now funneling millions of new dollars to preserve and protect PARCC and the high-stakes associated with these tests. National lobbyists have been hired through Colorado Succeeds and they are using the “shock and awe” strategy to create chaos at the State Capitol. 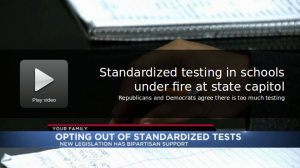 More than a dozen new testing bills have been introduced in the past couple of weeks. The intention is to create confusion and distraction in order for these lobbyists to better manipulate and gain control. I am working with parent leaders, Cheri Kiesecker and Ilana Spiegel, to bring you legislative updates. Rather than debate each bill, we are asking that you direct your attention to three specific bills. Please read below and contact legislators to request their support of these THREE bills. It is important that we continue to advocate for kids on every front including the media and the legislature. Still, our most effective means for leveraging power is to simply Opt Out of these tests. Governor Hickenlooper’s newly hired education advisor is Evy Valencia, formerly a lobbyist with Stand for Children. Hickenlooper recently held a press conference to send a message declaring “He would veto any bills that untethered teacher pay from student test scores (SB191).” As parents, teachers and students, we are up against corporate giants and yet, WE HOLD the POWER. Watch this FOX news broadcast and keep on speaking out. YES! Colorado SB15-173 This Student data privacy and transparency bill is halfway home!! It passed Senate Ed Committee and full Senate floor UNANIMOUSLY. It is now set to be heard in House Ed Committee April 15th at 1:30pm. This will be a fight. Lobbyists and House may kill or try to weaken this bill. PLEASE consider coming to Denver with us on April 15. YES! Colorado SB15-223 The bill will allow OPT OUT from tests with no retribution to parents, schools or teachers. The bill has huge bipartisan support, passed Senate Ed Committee last week and will be soon heard on Senate floor, passing next to a committee in the House. The bill only asks schools to provide a clear protocol on how they handle opt outs, holds all parties harmless, including schools and teachers. Goes to House Ed Committee in 2 weeks-we need your voice! YES! 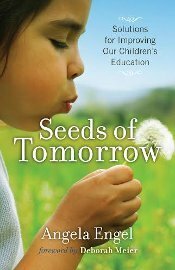 Colorado SB15-257 BILL THAT ROLLS BACK TESTING, CREATES PLAN FOR LOCAL TESTS reduce testing to federal minimum plus science; paper pencil for state mandated tests if school or parent asks ; READact only once if test proficient, test w/in first 60 days schools can choose from a battery of local assessments in lieu of state assessment; districts can apply for pilot waivers (like NH waiver pilot); no SB191 accountability tied to state test for 3 years; alternative assessment for ELA (for up to 3 yrs); alternative assessment for student with disabilities; repeals post secondary/workforce readiness assessments; will move towards accountability systems that are more locally based. Will be heard in Senate Ed Committee THIS week- April 9! The Colorado Board of Ed is meeting this Weds 4/8 and Thursday 4/9.